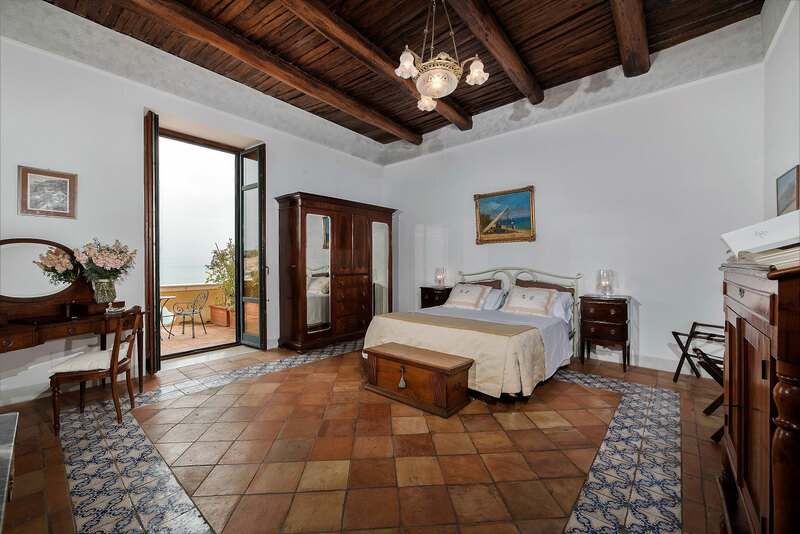 A truly Mediterranean early 20th century room with period furniture and 19th century terracotta floors enriched with Vietri tiles. The room boasts a large balcony overlooking the sea for a relaxing stay gazing at the enchanting sunsets over the Amalfi Coast. The ensuite bathroom features a large shower and is decorated with traditional Vietri tiles.